Bereket Simon, a high ranking political figure with the ruling EPRDF, has submitted his resignation from his position as chair of the Ethiopian Economic Policy Research Institute, according a report by the BBC Amharic. The report said Mr. Simon submitted his resignation to the Prime Minister, Hailemariam Desalegn. Local newspapers reported earlier that Mr. Simon has been removed from his post as the chairman of the Board of Directors of the Commercial Bank of Ethiopia. He was in that position for seven years. 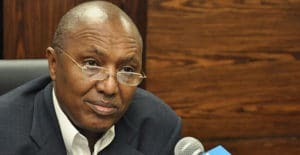 He is the second official in a week to vacate his post after the House Speaker, Abadula Gemeda, resigned to work “to restore the dignity and respect for the Oromo people and his organization.” The former speaker was not clear as to who has disrespected the Oromo people and his organization although his accusations subtly points to the TPLF. The BBC report said Bereket Simon has submitted his resignation to the Prime Minister and the last time he was seen at his office was Thursday. The report also said the official was not happy at his stay with the Policy Research Institute and his research and policy recommendations have not been well received and implemented by the prime minister and other officials. A founding member of the EPRDF, Bereket Simon is also a member of the council of the Front and a leading member of the Amhara National Democratic Movement. 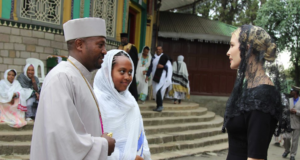 Bereket Simon is also the former Minister of Information and Minister of Government Communications Affairs.